What's Next? is a weekly meme hosted at IceyBooks to help you decide what on your reading pile to pick up next. First, I am currently reading Your Guardian Angel by Skyla Madi, the first of a trilogy which I all want to review by the tour date June 3. It's Urban Fantasy with Angels and Vamps. Second, I am still chewing on Crossed (Matched #2) by Ally Condie... But I'm getting it done this month of May, most definitvely! The German & Challenge Choices! Okay, now that I actually started on it, I really want to work my way through, although I'm already doubting I can get it done in time. Well, we'll see about that. 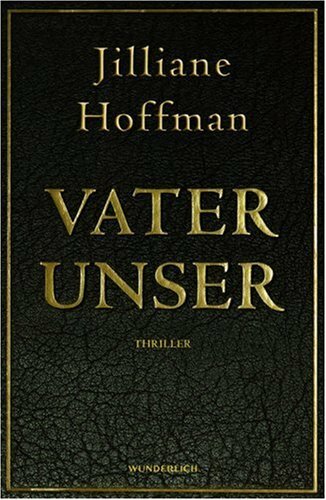 So, this week I want you to chose from the three German books below that are on my challenge list as well. 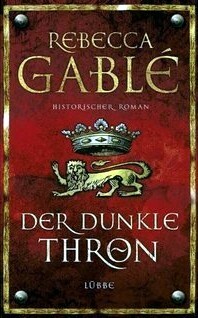 Der dunkle Thron [Dark Throne] (Waringham #4) by Rebecca Gablé, which has been sitting on my shelf forever. It's the extra installment to a historcal trilogy I loved at first but which got very complicated over the generations. The whole series is set in England, and now we have the 16th century, reign of Henry VIII. Nick Waringham, protagonist of this installment, has not much left of his family's wealth. So he seeks his furtune and luck somewhere else entirely: with Henry's daughter Mary who's life is in danger because of her right to succession. Plea of Insanity by Jilliane Hoffman, which is the third in a kind of lose series. 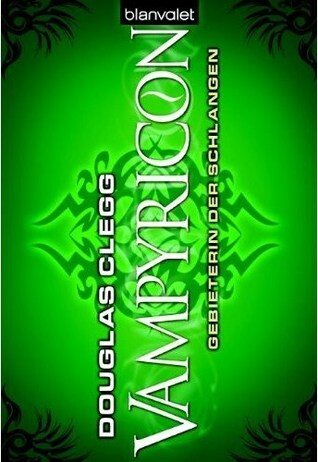 I really enjoyed Cupido and Morpheus, but I'm not so sure I want to pick up such a thick thriller. The prosecutor--Julia Vacanti. Young, ambitious, and facing a case that could launch her career. The defendant--David Marquette. A successful Miami surgeon and devoted family man. The victims-- Marquette's own wife and three small children. The plea--Not Guilty by Reason of Insanity. The perfect father and model husband, David Marquette seemingly just snapped one night. Or did he? His experienced defense team claims paranoid delusions caused by schizophrenia drove him to slaughter his entire family. But the state suspects Marquette's insanity defense is being fabricated to disguise murders that were cold-blooded and calculated. If convicted, Marquette faces the death penalty. If found insane, he could walk free. To bring a killer to justice, Julia will have to journey into the mind of madness herself, embarking on a terrifying journey back into her own past--something she has struggled with for fifteen years. And this will lead her to confront a future so chilling, she's not sure she will ever be able to face it. Queen of Wolves (Vampyricon #3) by Douglass Clegg is a fantasy, the last of the trilogy. The world is very mysterious, and the plot intriguing although a little slow moving. However, I know this is heavy vocab even in German, and I don't know if I really want to concentrate so hard I can't enjoy. After rescuing Pythia, the creature who turned him into a vampire, Aleric follows her back to the land of the Saracens. There, they must raise an army, for Aleric's lost love, Enora, has become the Queen of the Wastelands. Aided by her minions and her legions of wolves, she has begun the quest to call the Dark Madonna from beyond the Veil into the world of man. To stop the end of all, Aleric must become what he was destined to be-the Messiah of the Damned-and lead the undead in a final battle against the Mother of Darkness. So, I'm reluctant about all three of them, because they're going to take some time, but am equally looking forward to experiencing them. Which one do you think I should start with? Thanks for voting on mine too.